Today we take our final look at last year’s football boot highlights, encompassing the months of November and December. 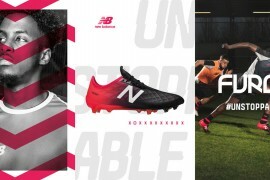 The winter period has been a busy time in the football boot world with the announcement of the results of the Football Boot Awards and a flurry of football boot and ball releases by the leading football boot brands. 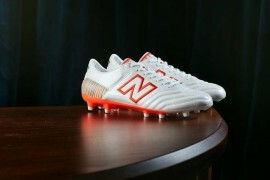 Read football boot review 2007 part 1, football boot review 2007 part 2, and football boot review 2007 part 3. 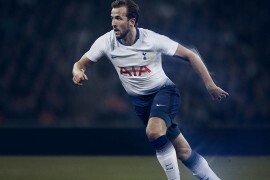 After thousands of votes cast and weeks of anxious nailbiting by the football boot brands, Footy-Boots.com announced the results in its first ever International Football Boot Awards. Nike and Adidas dominated with Nike claiming the Football Boot Brand of the Year gong, and its Total 90 Laser picking up the Football Boot of the Year Award. The Adidas F50 Tunit 2 was victorious in both the Best Looking and Most Innovative Football Boot categories, whilst the ever popular Adidas Predator Absolute scooped the Most Comfortable Football Boot Award. As if that wasn’t enough, we even got some of the Premiership’s leading footballers in on the act, with Wayne Rooney, Micah Richards, Emmanuel Adebayor, and Ashley Young accepting the awards on their respective brands’ behalf. 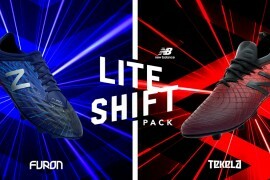 Adidas Predator Powerswerve and Nike Tiempo Air Legend 2 football boots debut! Adidas and Nike were barely out of the football boot headlines in November and as is the norm both released updated models of their leading boot ranges within weeks of each other. The hugely anticipated Adidas Predator Powerswerve was launched by Steven Gerrard and other leading players opening an 11 metre high football boot box and present a giant Predator Powerswerve football boot to the general public. Designed in association with Zinedine Zidane, the Powerswerve was released to the public in December, just in time for christmas! The Nike Tiempo 2 is the updated model of the original Nike Air Legend, and at 15 grams lighter than its predecessor, the new boot is likely to see the likes of Joe Cole, Carlos Tevez and Cesc Fabregas pounding across the turf at even greater speeds. 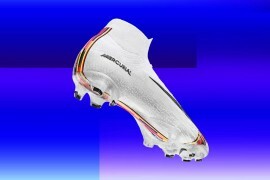 Coming fast on the heels of the Powerswerve and Tiempo 2 boot releases, December saw the launch of a limited edition Mercurial Vapor and a new more traditional offering from Adidas, the Adipure. 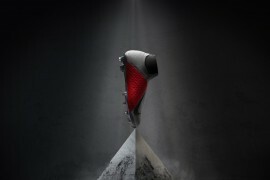 To celebrate the 10-year anniversary of the first Mercurial, football boot brand Nike created a special version of the iconic football boot for AC Milan striker Ronaldo. The Nike Mercurial 98 represents the history that has joined Ronaldo and Nike – a history marked by tradition and innovation. This 10th anniversary football boot keeps to the same colour and materials of the first Mercurial, but incorporates the technical features of the current Nike Mercurial Vapor III. The Adidas Adipure, on the other hand is a much more traditional boot offering, echoing back to the classic Adidas models of the late 1970’s, with a look similar to the Copa Mondial. Available from February 2008, the Adipure will be worn by the likes of Kaka, Frank Lampard, Robin Van Persie, and Xabi Alonso. The new year always reignites the debate on new technologies and what scientific advances we are likely to see over the next 12 months. In the football world at least, it seems we now have intelligent footballs! The pros and cons over goal line technology is one of the most talked about areas in football. With the release of the Adidas Teamgeist 2, tested at the FIFA Club World Club in Japan, it seems that the debate over whether the ball crossed the line or not may be a thing of the past. The intelligent technology implemented in the ball uses a magnetic field to provide real-time feedback to a central computer, which tracks the location of the ball on the field and sends the data directly to the referee. 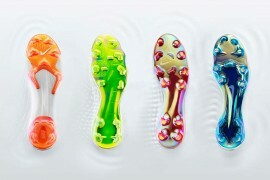 Not to be outdone, Puma hit back with the launch of the v.108, a ball which apparently gets players to the goal faster! Already being used by World Cup winners Italy and Euro 2008 hosts Austria and Switzerland, this ball is apparently the fastest on the market! We’ve got lot’s more planned for 2008, including more news, information, comment, exclusive video’s and previews of the latest boots, so stay tuned.